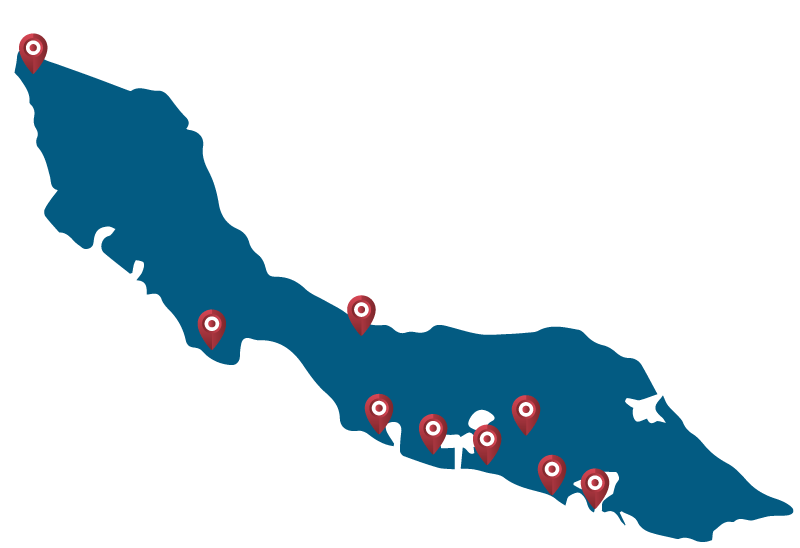 Our Bo Car Rental service is available from almost anywhere on the island. Need a vehicle? Just make a reservation and we will deliver your rental car wherever you are. The Car rental branches in Curacao that are connected to bocarrental are located throughout the island. From the international airport Hato, to the capital, Willemstad and many other popular touristic locations on the island like the Jan Thiel area and Sea Aquaruim Beach. Tour our beautiful island at your own pace in an affordable rental car from Bo Car Rental Curacao. Do some sightseeing and go to the best attractions the island has got to offer. In the mean time, know that we’re on standby 24/7 and help is not far away. Check below for our most common drop-off locations. These locations are situated troughout the island and are usually near hotels, restaurants, supermarkets or other public and, or, secure areas. Get a reliable car wherever you are!